EXPERIENCE DEEP HEALING AND REJUVENATION IN ITS HIGHEST FORM. IT'S TIME TO START FRESH. 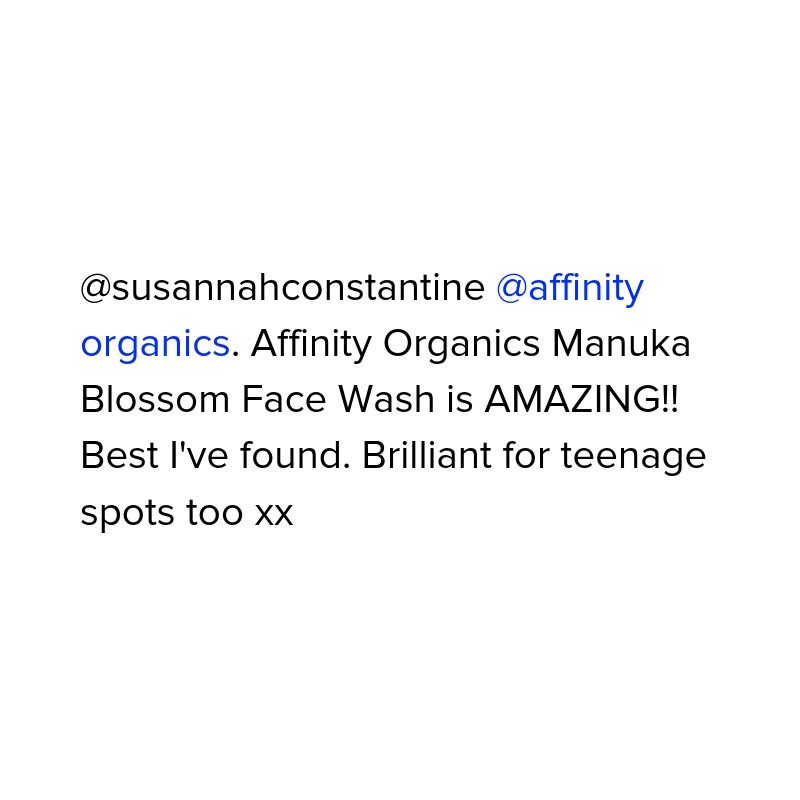 This Manuka Blossom Face Wash, infused with wild crafted manuka, is a highly moisturising, gentle cleanser that lifts dirt and impurities and is PH balanced for the harmony of your skin. It is good for the environment, vegan and perfect for a cleaner lifestyle, free of sulphates or any other potentially harmful chemicals - which means it is simply cleansing, healing, rejuvenating goodness. Our wild crafted manuka has been used by the Maori people in New Zealand for thousands of years, and in over 300 different ways, which just proves how powerful it is for your face and general wellbeing. The real power of this signature ingredient lies in its antibacterial properties, which are unsurpassed. This face wash also contains complementary ingredients such as phytosterol-rich pomegranate, energising cypress, nutrient Omega 6 dense Apricot and most notably, essence from the rare and beautiful Baobab tree -- more commonly known to the locals of Madagascar and mainland Africa as "The tree of life."